Up to 30% OFF Ends Tomorrow! *Save up to 30% Off your entire purchase at www.fitzandfloyd.com. Enter applicable offer code at checkout. Offer Ends 3/17/19 11:59PT. *Free Standard Shipping offer is valid within the 48 Continental U.S. and applies to Standard UPS Ground Delivery on qualifying orders. Free Shipping offers exclude: Alaska, Hawaii, Puerto Rico and all International Countries. Not valid for cash. Previous purchases not eligible for adjustments. Not valid with other offers or promotional codes. This offer is valid on Fitz and Floyd product only at www.fitzandfloyd.com orders. To ensure our emails reach your inbox, please add csonline@fitzandfloyd.com to your address book. Was this email forwarded to you? Join our e-mail list to receive e-mails and special offers from FitzandFloyd.com. © 2018 Fitz & Floyd, a division of Lifetime Brands, Inc.
Shop & Save Up to 30% Off! 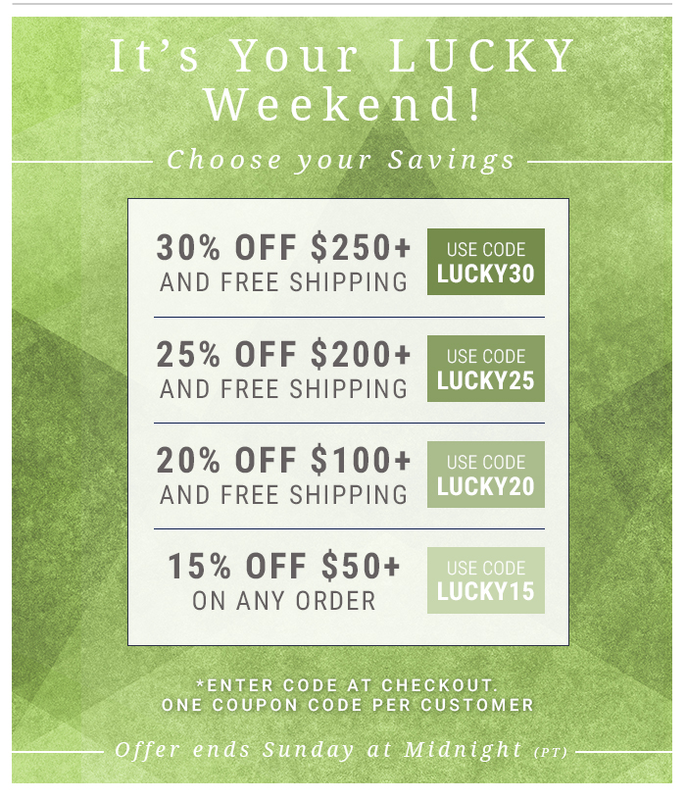 SITEWIDE 20% OFF + 5 Days to order for Easter! Get it for Easter with up to 60% OFF!